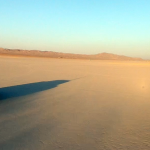 Drive to marked starting area on the lakebed, facing truck into prevailing wind. Install a new propeller onto the thrust stand. Run a scripted thrust test that ramped the motor from 0–70% throttle over 30 seconds without the truck moving. Run the same scripted thrust test again. Reset truck back to marked starting area. Run the scripted thrust test again. Record all results in a folder for the prop. The procedure in whole took about 20 minutes and was repeated for each prop in our lineup. About halfway through the test, we took a break and recharged the batteries being used to run the motor. Only about 10% of the capacity was put back into the batteries. We ended up finishing 15 props before the imminent sunset caused us to set up camp and cook some dinner. Changin’ props in the middle of no-where! During the day, we encountered two issues that affected our results (that I know of). These are discussed below. Sometimes the script we used ran fast, causing the test to end early (but after reaching 70%). This caused the flat lines in some charts from 25 seconds to 30 seconds. we tested, causing a rapid cool down of temperatures, a 180 degree wind shift and an increase in wind speed to about 15kts. When this happened, we re positioned our starting point and made the runs 5MPH slower (20MPH and 45MPH on the speedometer). The last 3 props that were affected by this anomaly were the three RaceKraft props. We encountered some variance in how the script that controlled our thrust stand worked through the day. The thrust stand always ramped from 0% to 70% throttle and held 70% throttle for at least 5 seconds, but the throttle curve for the ramp looks different in a few of our tests, which you can pick up pretty easily in round 2 of the testing. It appears like the entire test ran about 20% faster, and I can’t quite explain why. This doesn’t affect the actual results of the tests, but does affect the way the data looks. I tried to counter this issue in the graphs by synthetically adding the average of the 70% run to the end of all of the “short” tests. This is why some plots have flat lines at the end of them – I’m extending the lines so that they can be easier to compare to the tests that did run the full duration. This is probably the most relevant data from the tests. Each prop was given a fair shake against itself in similar conditions. Higher numbers in this graph indicate poor performance (more thrust lost). As you can see, higher pitched props do well, with the 5″ pitch props doing particularly well alongside the DAL Cyclones. 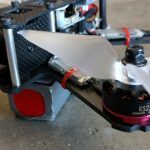 I was disappointed by the numbers for the RaceKraft 5051 and Gemfan 5152s, as I expected the radical “optimized” airfoil to do better than the more conventional 5″ ones. Due to wind variance throughout the day and the lack of a decent airspeed sensor, we don’t think these results are useful to compare prop performance with each other. 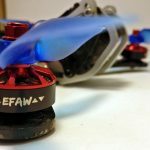 We hope to run another test in the future with the specific goal of comparing different props with each other at different airspeeds (see the Conclusion of this article). Descriptions of the comparisons and discussions of the results can be found on the linked page. Please click through to check them out! If you are interested in drawing your own conclusions, you can download a zip file containing the raw data output from the first set of tests here. The data is organized by prop statistics and is in CSV form. It is the raw output of the RCBenchmark software. 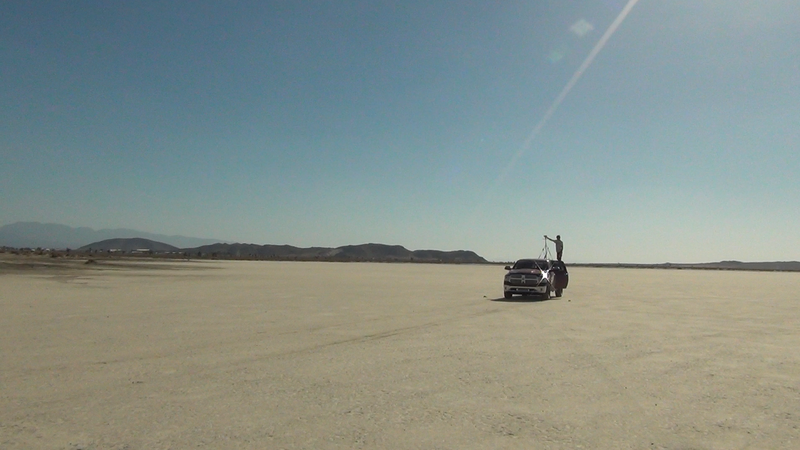 Run a scripted thrust test that ramped the motor from 0-70% throttle over 30 seconds without the truck moving. Drive to the marked starting area. Repeat steps (2-4), driving in 10MPH increments up to 90MPH. The 90MPH test was something to behold! 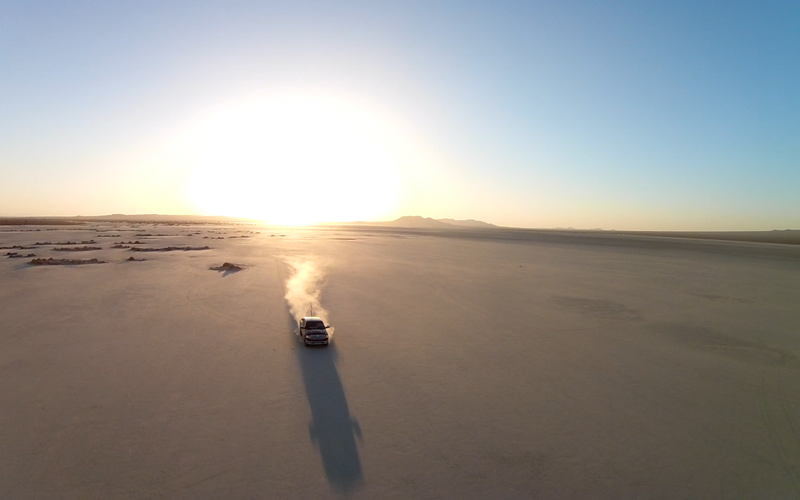 We crossed a significant portion of the lakebed both times with the truck throwing up enormous plumes of dust behind it. The thrust stand and fixture behaved brilliant through the test. The two props we tested on this day were the RaceKraft 5051 and the HQProp 5x4x3B. We chose these because they are both 5″ tri-blades but are otherwise nothing alike. We wanted to see how such divergent airfoil designs affected performance at high airspeeds. Once again, we see a stellar performance from the HQProp 5x4x3B. There is a reason these props are/were so popular, and they deserve it! That they are producing more thrust at 0MPH ground speed must be an artifact of motor performance at 70% throttle. It is quickly beat in the thrust numbers as groundspeed increases. However, it is only around 70MPH ground speed that the RaceKraft starts to beat out the HQProp in efficiency. I figured this switch would happen sooner. Here is the raw data from the second day. The results of these tests were an amalgam of expected and unexpected. Count “lower blade count props are more efficient than higher blade count props” and “more blade pitch begets better thrust at airspeed” as expected results. I was very surprised by the amount of variance between the performance of different blade profiles. I was particularly impressed with the performance of the props with 5″ pitch and the DAL T5045C “Cyclone” props. These were the stand-out “winners” of this test. The HQProp 5x4x3’s with the notched tips were the stand-out losers of this test. No wonder you can’t find them anywhere anymore. I was also surprised by the fact that the efficiency “cross-over” points where high-pitch props become more efficient than low-pitch props is at a much higher speed than I expected. Per our last test, the venerable HQProp 5x4x3 doesn’t give up efficiency advantage to the RaceKraft 5051 until 70MPH! 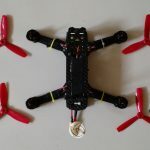 I guess this goes to show that lower pitch 5x4x3 props may still be the best all-around pick for miniquad pilots interested in efficiency (and not melting their batteries). So there you have it—our first shot at getting some better metrics on how props perform at speed. We’ve received some feedback about the props we chose to test and I am personally not particularly happy about the variability and biases clearly seen in some of the tests. I would like to give the tests another shot with the explicit purpose of testing props against each other at speed. 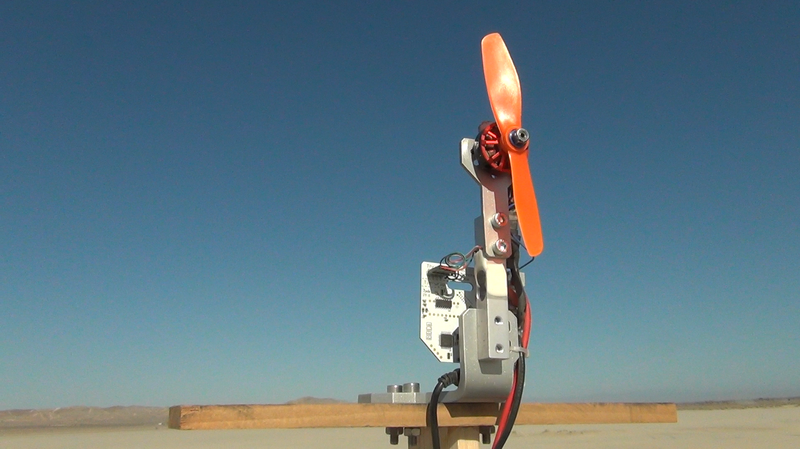 I would like to use an airspeed sensor to reduce errors caused by wind for these tests, pick up a high-rated ESC so I can go full throttle, and hope to eliminate some of the scripting problems we saw in these tests. Do you have any thoughts on our testing practices? Do you want to suggest a prop to be tested? Drop us a comment below!